Giro Sport Design, the cycling world’s design leader, announces the release of an innovative new cycling helmet – the Aerohead Ultimate MIPS ­– that utilizes TeXtreme® carbon fiber fabrics to create a lighter, stronger and more rigid outer shell. In 1985 Giro pioneered the aerodynamic helmet category with the original Advantage and now it redefines the category with the release of two new models – the Aerohead™ Ultimate MIPS and the Aerohead MIPS – their fastest time trial helmets ever. TeXtreme® Technology differs from conventional carbon fiber materials due to its innovative production methods using Spread Tows instead of yarns to produce a fabric with an optimized fiber structure. Its longstanding presence in the winner’s circle – in numerous areas of the sporting world – serves as proof to its lightweight and performance benefits. The Aerohead Ultimate MIPS has already been raced to victory on both the road and track by the world’s top professionals. 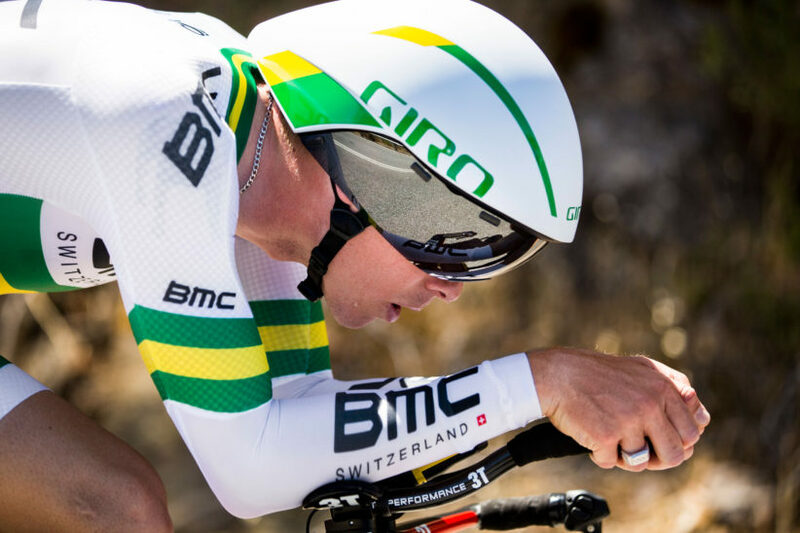 It made its official debut at the Amgen Tour of California time trial stage, with BMC Racing Team, Team Katusha, and Team WIGGINS, while top professional triathletes including Linsey Corbin, and Andreas and Michael Raelert, will compete in the Aerohead MIPS this summer. In addition to the use of TeXtreme® in the bicycling industry, this innovative technology is widely used in Formula 1, NASCAR and America’s Cup racing, as well as in the manufacture of golf clubs, tennis racquets, hockey sticks, surfboards, rowing shells, skis, and snowboards. TeXtreme® is also in high demand for various industrial and advanced aerospace applications. The Aerohead Ultimate MIPS weighs just 455 grams and will be available in Summer 2016. TeXtreme® is a registered trademark owned by Oxeon AB. Founded in 2003, Oxeon has quickly established itself as the market leader in Spread Tow reinforcements with its products marketed under the brand name TeXtreme®. For more information, please visit www.textreme.com/b2b/.